Alma Schneider was certain she was right. She knew there were plenty of local parents similar to her — adults with children and jobs and plenty of household tasks. But these middle-aged folks still retained the love of rock music, occasionally playing riffs and rollicking to rhythms in their basements, in their dens or in their memories. Schneider grew up in a musical family whose members sang together. She attended school for voice in New York City. In 1997, she wrote and recorded “UPS Man,” a melodic paean to parcel deliverers that, similar to delivery-truck routes, made the rounds. Schneider has been the catalyst for eight Parents Who Rock shows, with a ninth slated for Saturday, June 2. “This provides a great outlet for parents to dig back into their pasts,” said Lee Haberman, who has been the performer longest associated with Schneider. Haberman is the emcee, introducing the performers and entertaining the audience between sets. 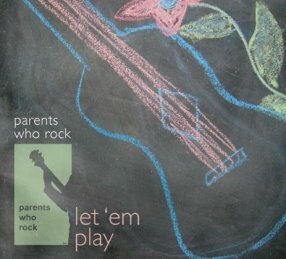 Parents Who Rock’s upcoming show will its biggest yet. Occurring Saturday, June 2, in the Commonwealth Club on Northview Avenue, the evening event will benefit the Developmental Learning Center, a special-needs pre-school program operated by the Montclair School District in the Montclair Community Pre-K facility located be-tween Valley and Orange roads. The donations raised will help fund a therapeutic listening program for the young students enrolled in the Developmental Learning Center. Along with the minimum $50 donation for admission to the show, there will be a silent auction and raffles to generate revenue. The flier for the “Kick Off To Summer” DLC fundraiser promises “amazing hors d’oeuvres,” deserts and, Santiago noted, an open bar. “I wanted this to be more about the music than the fundraising,” Schneider said. “But now we realize we can raise a lot of money for causes. People want to donate. 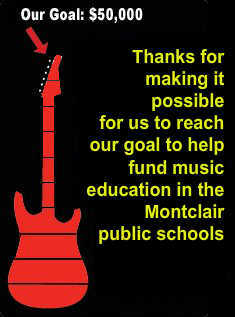 Contact Mark S. Porter at porterm@montclairtimes.com.